Spiritual Vigor: 5 Reasons Solitude is Important for Christians - What do you do to make time for solitude in your own life? 5 Reasons Solitude is Important for Christians - What do you do to make time for solitude in your own life? Somewhere along the way evangelicals lost the connection to solitude. Many of us have no real experience in solitude, don’t believe we need it, or maybe even fear it. Here, in five reflective points, is a case made for solitude because it’s not so scary and might just do you some good. Before Jesus began his ministry, he was in solitude (Luke 4 /Matthew 4). Filled with the Spirit, Jesus traveled alone to the wild places. He fasted there for 40 days and was tempted by the devil before beginning his public ministry. This time in the desert shows us a Jesus who first needs to be alone with the Father before he begins the work of salvation. Jesus spends time in solitude in several other episodes in the Gospels. Jesus goes up a mountain to pray alone shortly after the feeding of the 5,000 (Matthew 14:23). He also spends time alone in prayer the night of his arrest (Mark 14:32-36). What Jesus’ times alone in solitude shows us is that even the Son of God needs quiet space to recharge and reflect during his earthly ministry. Solitude then is not some luxury for those who can afford it or a practice only for the very spiritual. Jesus did not live a life of luxury and those who thought in terms of more or less spiritual were those Jesus preached against. People learn quite a lot about themselves and about God in solitude. For some, this is frightening. What if we see who we truly are and walk away disgusted? People who run away to solitude with the hope of outrunning their temptations and sin find that such things travel with them. This is no reason to despair, though. It is all part of the reason why solitude is so important; it provides us with an environment in which our temptations can be faced down. Jesus is tempted by the Devil in his time of solitude; we are no different. Solitude brings out our temptations in an environment that is well suited to facing them down. Solitude also reveals truth about the Lord. In solitude the heart is given the opportunity to be quiet for once and listen to the promptings of God; we are free from the distractions of society and can focus wholly on the Lord. This is when God can speak into our lives in ways beautiful and unexpected. Elijah saw God on Horeb; Moses on Sinai. Both learned profound things from these experiences and were empowered by a word directly from God. There is no possible way that such an experience would be of no benefit to you. Solitude is not all about you. Far from it. Instead of finding ourselves, our goal in these situations should be to lose ourselves. Every human being is made in the image and likeness of God. As such we can only really understand who we are as human beings by first knowing him. It is by knowing God that we begin fully to understand who we are as his children. As Jesus put it, “For those who want to save their life will lose it, and those who lose their life for my sake will save it.” (Luke 9:24) You, the real you, can only really be found in the heart of God. This losing of self in solitude has a second benefit: Our love for others increases. When we begin to see ourselves for who we truly are, we know ourselves as children of God. As children of God we begin to see all other people as his children too. This increases our love for others and, somewhat ironically, actually brings us further into community and engagement with a wounded world. In day to day life, it can be so hard to see what is really going on. The view from the valley is not as wide-ranged as one from the mountain top. Time in quiet and reliance on God brings us to knowledge of what it is we actually need and what is or is not in line with the heart of God. Perhaps you have experienced this. A return to society from a long stint in the wilds can drastically change our worldview. Maybe you were struck with just how much advertising you saw upon your return. Maybe you noticed just how uncomfortable everyone was with silence. Maybe you noticed just how often people used “need” instead of “want”. This time away gave you some perspective and you are not alone. John the Baptist lived on the outskirts of society and in relative seclusion before disciples came to him. This seclusion give him perspective on society and eyes to see Jesus for who he really was. A step or two of separation from society doesn’t mean we refuse to engage with it; on the contrary, separation through solitude gives us a godly perspective so that we might properly respond to the problems of our world. The world we have built has few opportunities for solitude. We crave noise and distraction. When you are in the car, there is music or talk radio. When you are at home, your attention is held by the television or computer. While you are at work or school, people and projects vie for your attention all day. For the most part you are lucky to spend 30 minutes half reading the Bible in the morning or before bed; most of the time it feels as if all you can find in the Bible is measurements and genealogies. Solitude offers a chance to resist a society that likens stillness to decay. Solitude is an active inaction; it is a way of saying that we refuse to play this game any longer. It is a way of telling the world that our heart relies on the Lord and nothing else. It is our way of looking all problems dead in the eyes and declaring that the Lord himself will give us what is needed if only we take the time to listen. To make the choice to embrace solitude might very well be difficult in the context of modern life. There’s just so much pulling us away from it and it certainly doesn’t help that for many of us our upbringing has done nothing to teach us about its nature or practice. In spite of all of this, solitude is very much worth including in our spiritual practices. 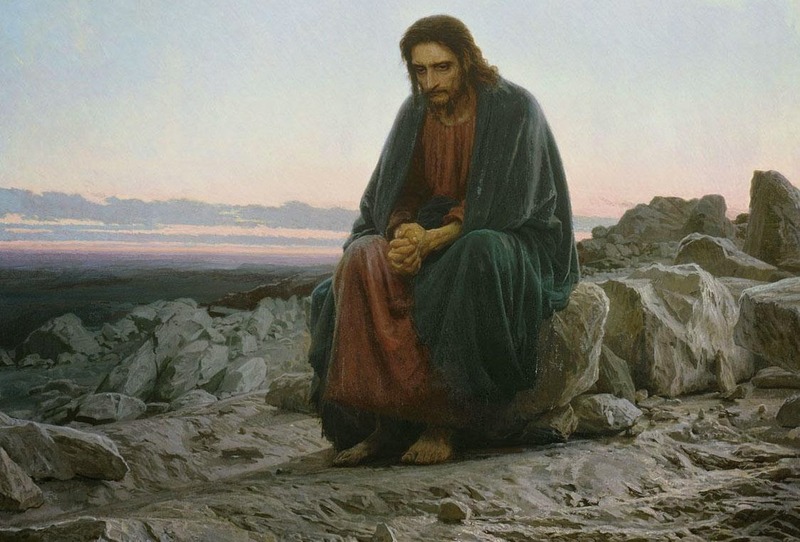 When we follow Jesus as our example for spiritual practices, we can see that solitude is an integral piece of the spiritual life because it establishes a connection directly with our creator and reveals truth about him, ourselves and the world. This connection leads us to forget ourselves and love our neighbors more as the beloved children of God. Finally, solitude can give us perspective on the world and can be a way if actively disengaging in what pulls us out of intimacy with our creator.